Soft cover, 81 pages, A4, includes maps, photographs, illustrations and index. 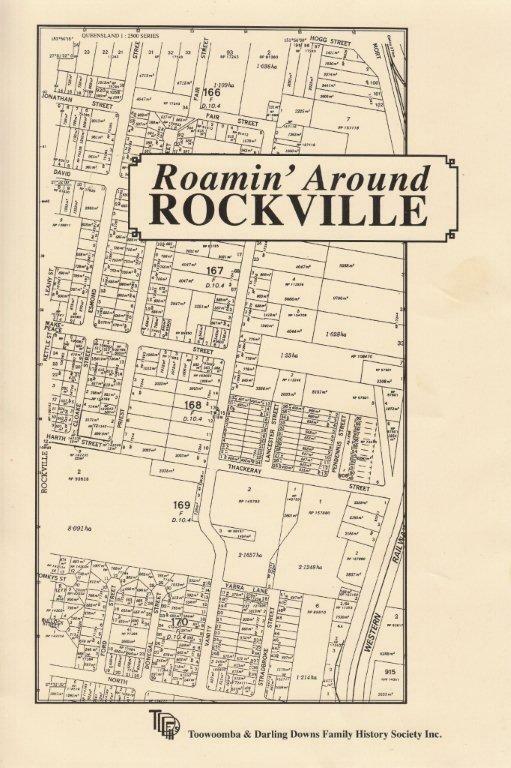 This book chronicles the Toowoomba suburb of Rockville, as it grew from an agricultural and industrial area to a residential suburb. The main stories have been compiled from the memories of some of the people who lived there. A snapshot of current businesses and industries is included.